Welcome to our first edition of Kicks On Deck here on Kicksologists. If you did not know, today marked the first day of the NBA Pre-Season calendar. 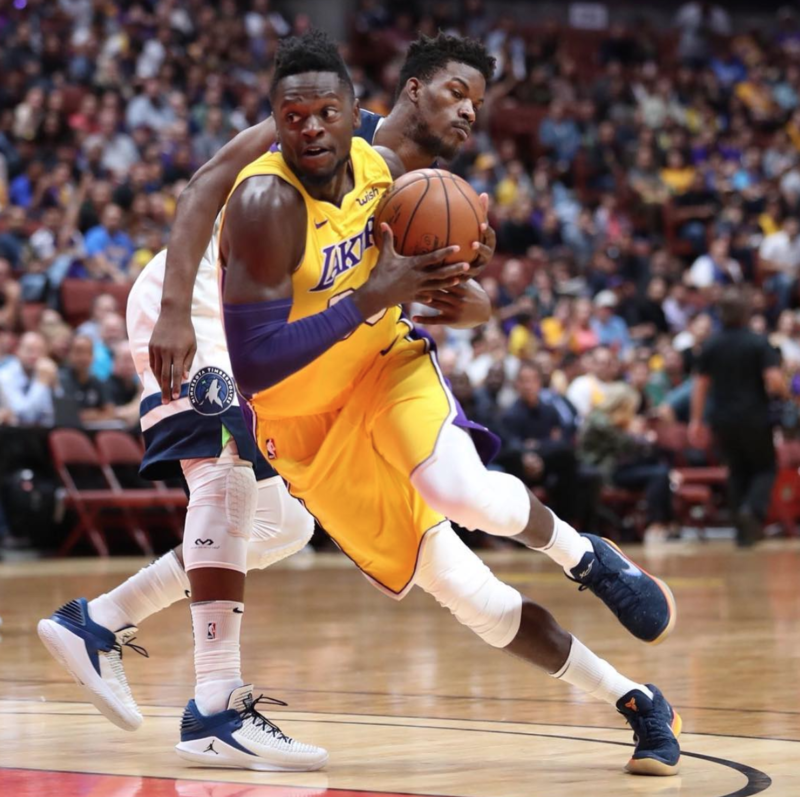 Only two games were scheduled today, the Los Angeles Lakers hosted the Minnesota Timberwolves and the Golden State Warriors went against the Denver Nuggets. Both Western Conference teams went in with new rosters for the new season. 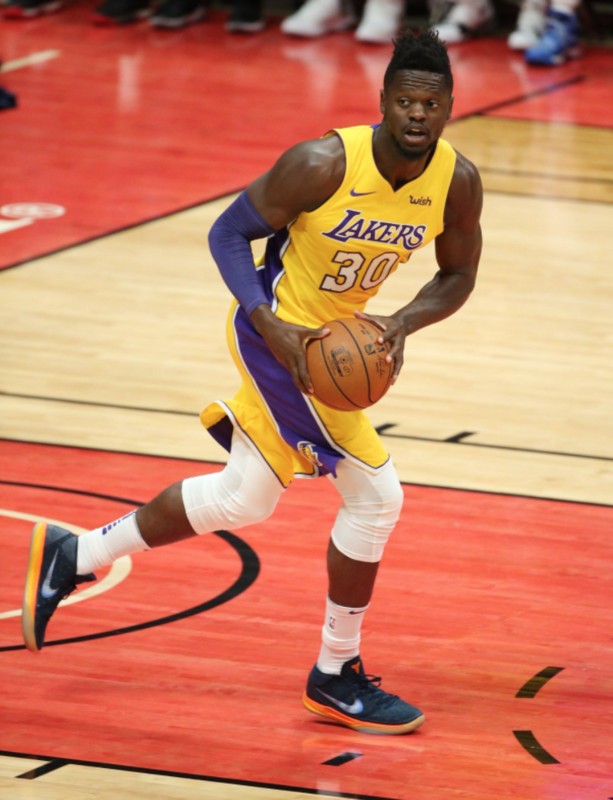 There was a lot of swoosh in the air as the players were dressed in their new Nike Basketball attire, from jerseys to the new NBA NikeGrip socks. The spotlight however was just not on the sneakers, but mostly on the anticipation of the up coming rookie, Lonzo Ball of the Lakers. 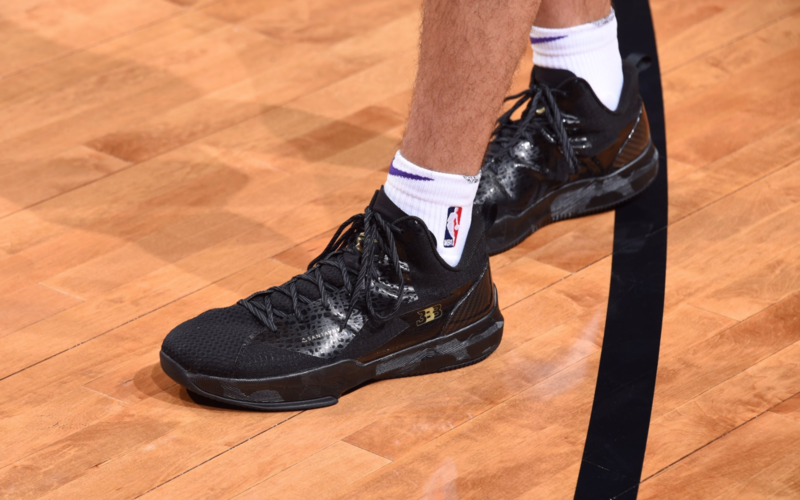 He laced up his Remixed version of the ZO2 from BBB manufactured by Brand Black. Fellow Lakers guard Tyler Ennis jersey was pulled on by an opponent and his jersey ripped mid-game. It quickly spread through social media and let’s just say it wasn’t a good look for Nike as they start their partnership. Who knows if it was a Swingman ($110) version of the jersey or the Authentic edition ($200) on court. Regardless, he was given a new one, but Ennis and team fall short to the Wolves 108-99. Warriors get a surprise defeat from the Nuggets, 108-102. 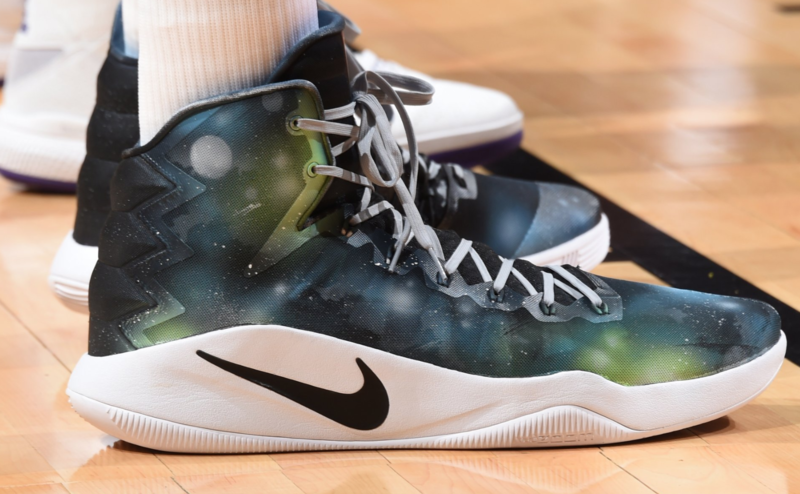 Let’s take a have a look at what the players laced up for today’s basketball opener. Nick Young in the “Black President’ adidas TS Lightswitch Gil Zero II gifted from Gilbert Arenas himself. Kyle Kuzma runs the break in the Grey ‘Detached’ colorway of the Kobe A.D. Mid. 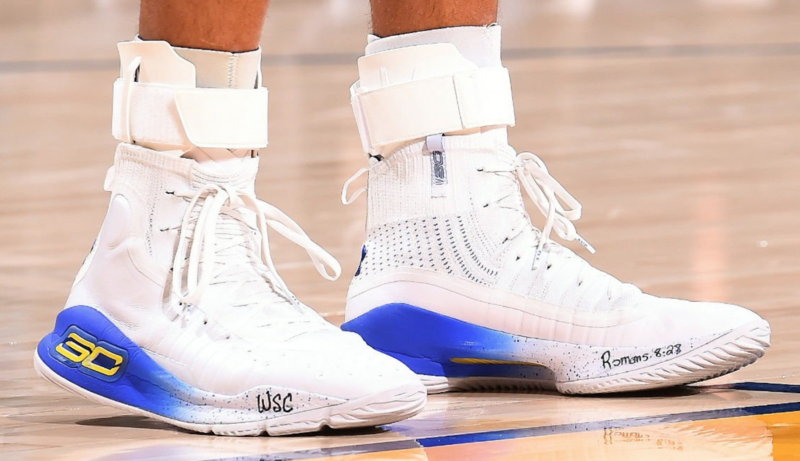 adidas athlete Brandon Ingram favors his adidas Crazy Explosive Low. 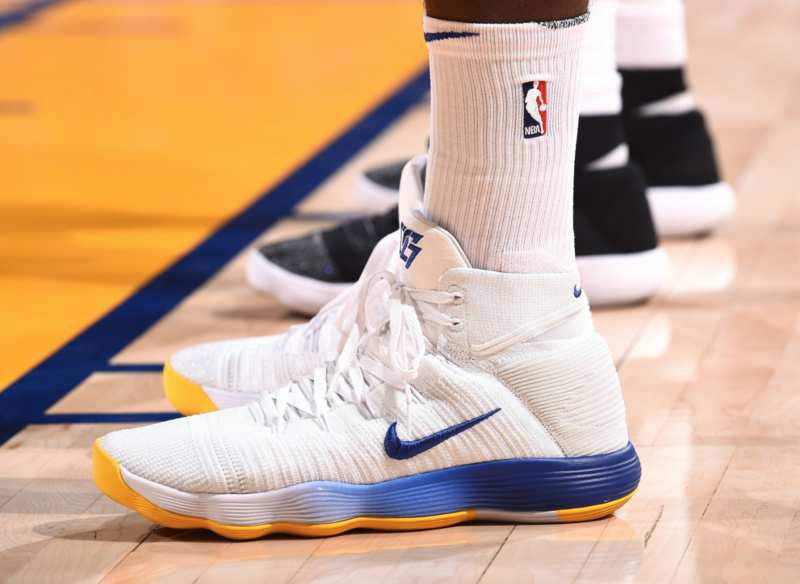 2017 Finals MVP Kevin Durant breaks out a new colorway for the Nike KD X. Stay tuned for more editions of Kicks On Deck and subscribe to our YouTube channel.